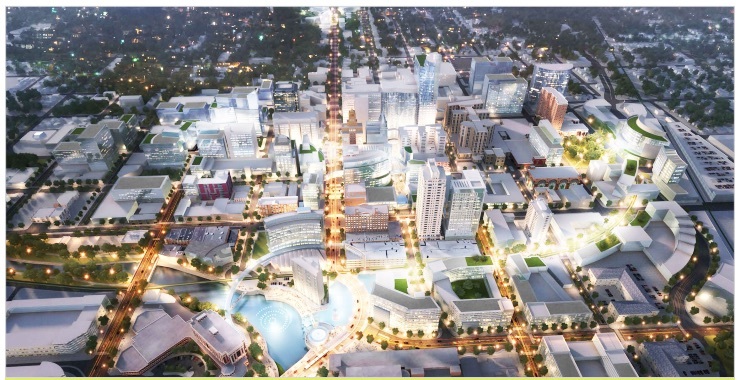 Illustration from the Mayo Clinic Destination Medical Center development plan. Luther College is currently exploring experiential learning opportunities for students through “learning hubs.” The hubs would be located in cities across the Midwest, and also in collaboration with the Mayo Clinic Destination Medical Center (DMC) initiative in Rochester, MN. According to Interim Dean for Institutional Planning and Mission Bradley Chamberlain, interest in increasing the number of experiential learning opportunities was present throughout the 18-month-long planning period prior to the approval of the Strategic Action Plan. He says that while Luther is still in the initial planning stages, the college has a vision for how these programs may function. Chamberlain says that the faculty will ultimately define what these opportunities will look like. “We’re still in the visioning stage and there are conversations happening in terms of what some possibilities may be, but it will ultimately be up to the faculty to determine how those experiences will relate back to the general education program and how they will relate in the specific major programs,” Chamberlain said. Mayo Clinic in Rochester, MN. In addition to establishing its own experiential learning hubs, Luther is in conversation with representatives of the Mayo Clinic DMC initiative. 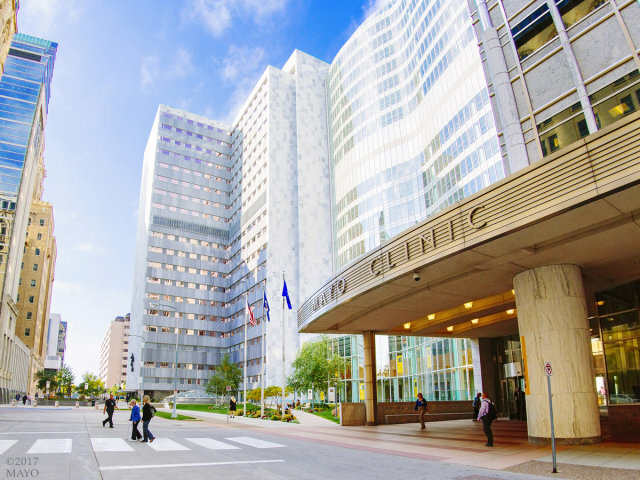 The DMC initiative is a $5.6 billion plan with the goal to expand the Mayo Clinic and DMC over the next 20 years in order to establish Rochester as a global destination for health, wellness, and the biotech industry. Representatives from Luther including Chamberlain, President Paula Carlson, Director of the Career Center Brenda Ranum, Associate Professor of History Robert Christman, and Professor of Biology Jodi Enos-Berlage attended a meeting with Mayo and DMC representatives on Dec. 18 to discuss Luther’s possible involvement. According to Enos-Berlage, the DMC sees Luther students as an incentive for new companies in the Rochester area. Christman says the DMC also approached Luther due to the large number of alumns currently living in Rochester and working with the Mayo Clinic, as well as the type of student Luther’s liberal arts education produces. According to the DMC executive plan, possible short-term opportunities for Luther students include J-term experiences and full-semester or summer internships. In the long-term, the DMC hopes to create “a steady stream of talented and dedicated Luther students coming to Rochester” for a variety of careers and the possibility of a “programmatic pipeline of defined opportunities and space.” While Luther plans to continue discussing options with the DMC and internally with faculty, Christman says the initiative offers a number of opportunities for a wide variety of students. Enos-Berlage says she and Christman have made an effort to document and share information and ideas regarding Luther’s involvement in the DMC initiative with faculty and are open to doing the same for interested students. Chamberlain says he will also look for ways to channel student input through Student Senate in the coming weeks.